I love to combine big bold flavors with cool, refreshing flavors. 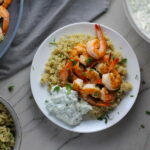 Enter THIS flavorful Garlic and Lime Shrimp Recipe with a bright and delicious Tzatziki Sauce. 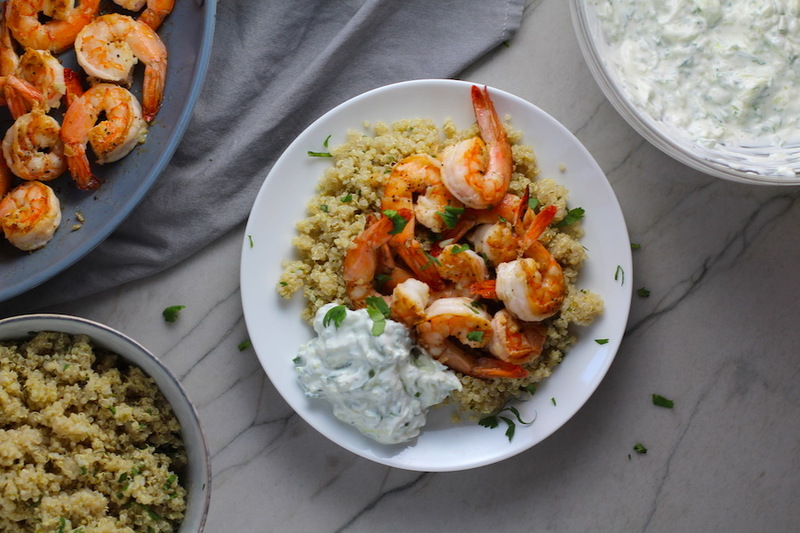 The Tzatziki Sauce has cool and creamy yogurt with fresh cucumber, lime zest, garlic, and scallion. 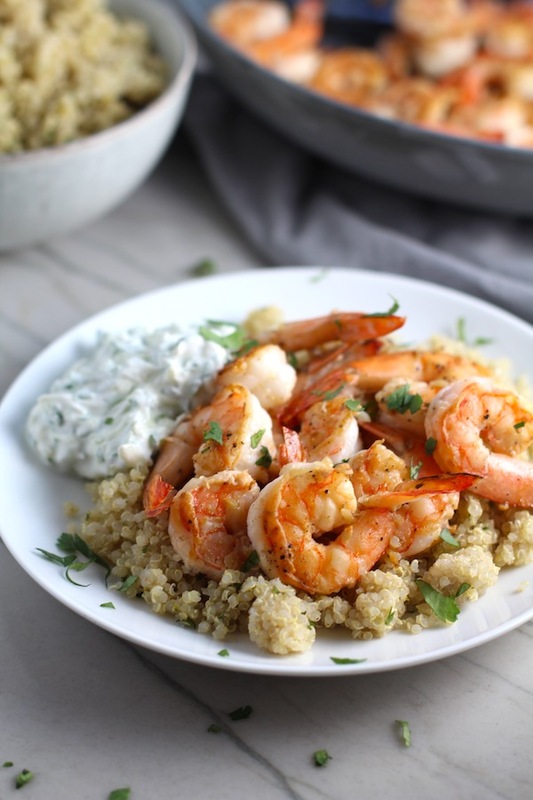 Serve with Cilantro Lime Quinoa and you have a complete and delicious meal! I have to be honest, we don’t eat a lot of seafood in our house. It’s definitely something I want to work on. 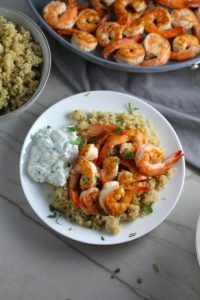 This summer, I plan to start to incorporate seafood into our weekly meals at least once a week. When we do eat seafood, it tends to be a more meaty white fish like cod, or shellfish like scallops or shrimp. 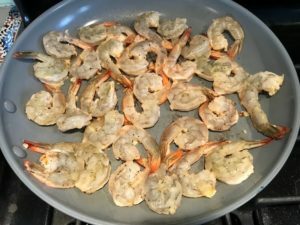 Shrimp is definitely a favorite with me and the kids, whereas my husband, David, would be happy with just about any seafood. 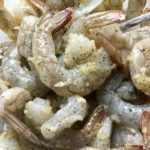 Shrimp has many healthy benefits. 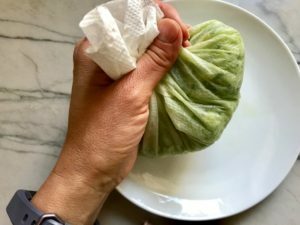 It’s low in calories and a good source of protein, Vitamin B12, Iron, and Magnesium. 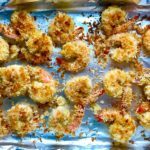 Shrimp, like fish, also contains Omega-3 Fatty Acids, which are important for promoting heart health and help to prevent heart disease. 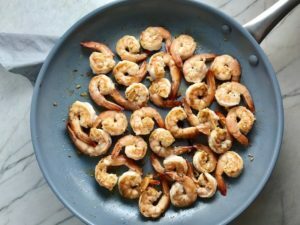 Shrimp is both good for you and fun to eat (especially for kids) since you can pick it up with your fingers by the tail in many dishes. 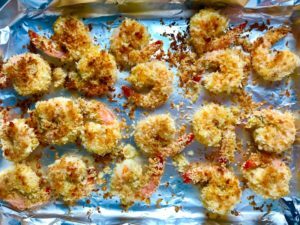 A favorite in my house is 30-Minute Baked Coconut Shrimp for an appetizer or main dish. 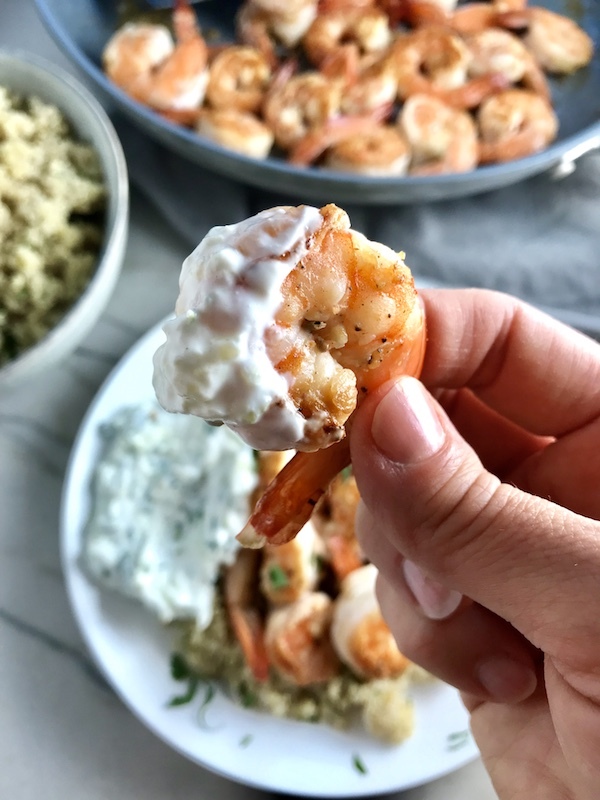 For this recipe, you can make the Tzatziki Sauce almost entirely ahead and prepare the ingredients for the shrimp. 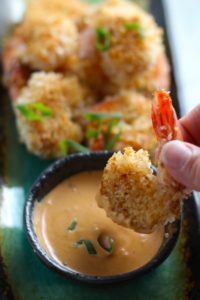 Then on the night you want to eat this yummy dish, you only spend about 10-15 minutes cooking the shrimp and giving the sauce a final mix! 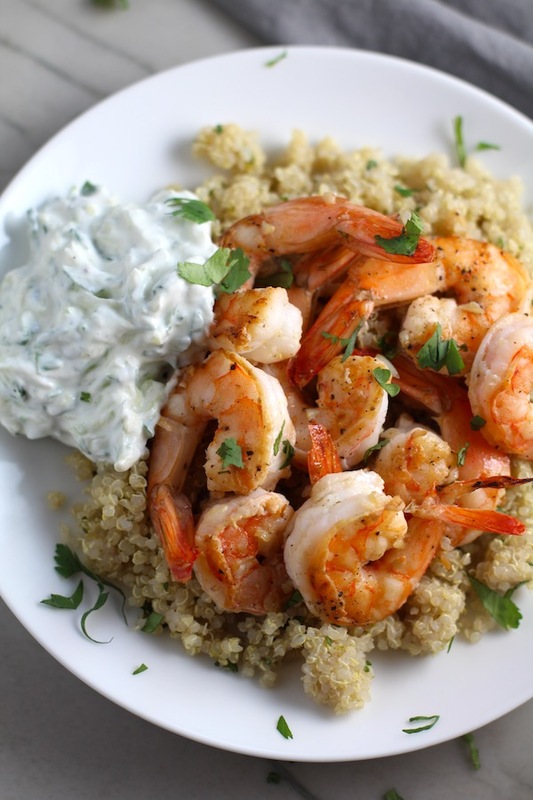 So, starting with the Tzatziki Sauce… Zest the Lime and add it to the yogurt. 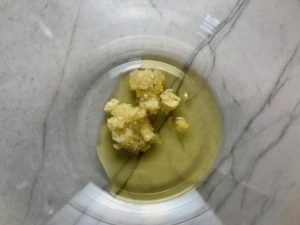 Then store the zested lime in sealed container in the fridge. 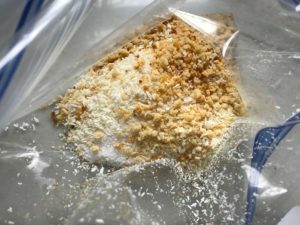 Mince the 3 cloves garlic and store 2 for the shrimp in the fridge in a storage container until ready to use. Add the third 1 minced clove to the yogurt. 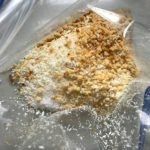 FREEZER HACK: I mince a ton of fresh garlic in a mini food processor and then store it in the freezer so it’s always ready for me! Also finely chop the scallion and add that plus salt and pepper to the yogurt. 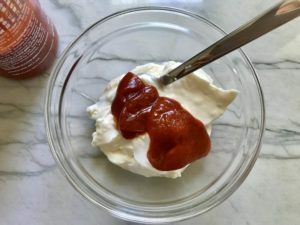 Then mix the ingredients into the yogurt. Cover and store in the fridge. If you use an English Cucumber, you can keep the skins right on and the skin has more of the nutrients and vitamins than the inside. Use the medium grate size to grate the cucumber. 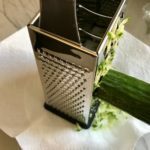 TIP: I like to grate right over a paper towel or clean towel so that you can squeeze the water out of the cucumber and can strain it out. 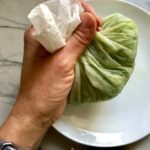 Wrap the cucumber up in the towel and squeeze all of the water out. 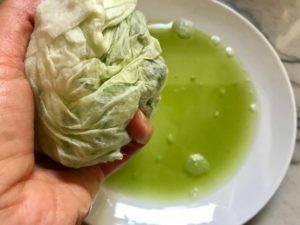 You can mix it with the yogurt mixture now if you are eating now, but if not, then I store the cucumber in a separate bowl lined with more towel to soak up any additional water. To a large mixing bowl, add the 2 cloves of minced garlic, olive oil, salt, and pepper. 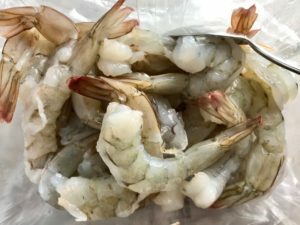 Take the shrimp out and make sure they are all cleaned, meaning there is no dark line down the center of the back. If there is, simply scrape it out with a small paring knife. 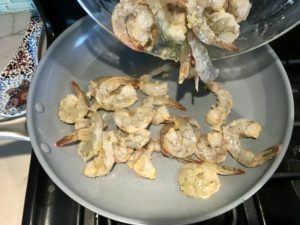 Add the shrimp to the Garlic mixture, the lightly mix to coat the shrimp completely. 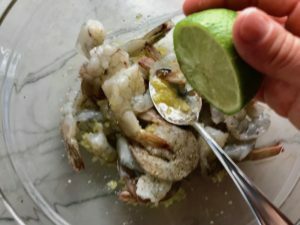 Squeeze half the lime over the shrimp right before you are ready to sear and mix to coat the shrimp. 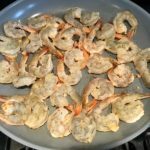 To a preheated skillet, add the shrimp and spread them out into a single layer. 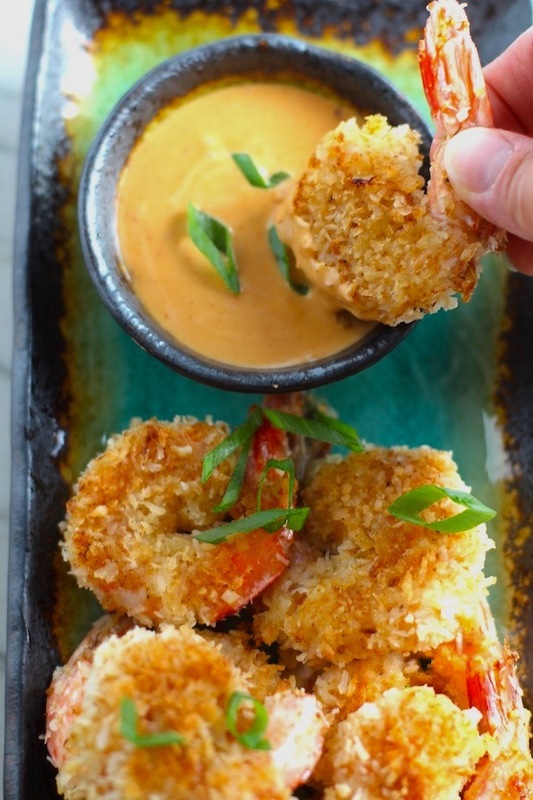 Cook them for 3-5 minutes until the shrimp start to curl and turn pink around the edges. Then flip the shrimp over and cook the other side for another 3 minutes. 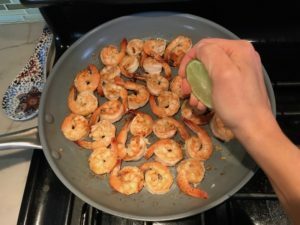 To finish the shrimp, squeeze the remaining half of lime over top, give them a stir, and turn off the heat. 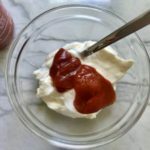 Finish the Tzatziki sauce by mixing the shredded cucumber to the yogurt and mix to combine. 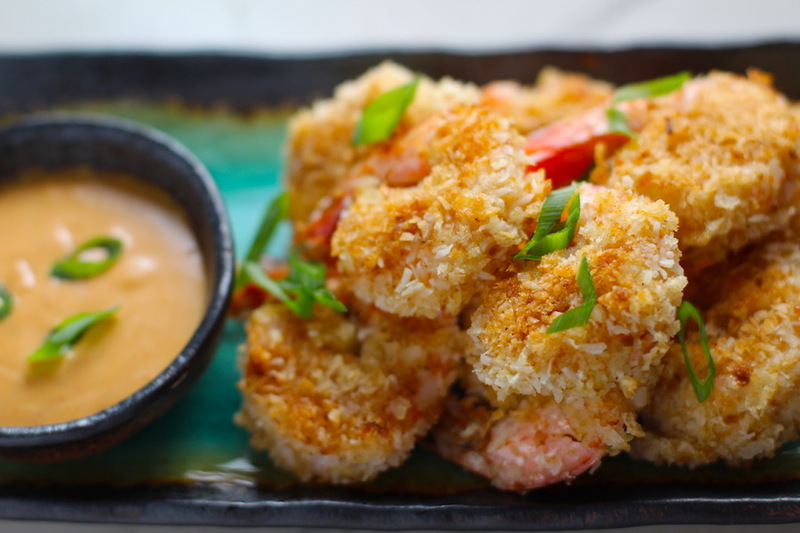 Serve with the shrimp and ENJOY! 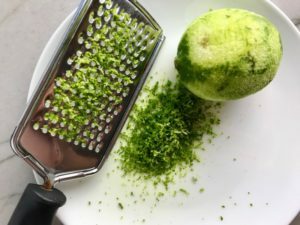 Zest the Lime and add it to the yogurt. 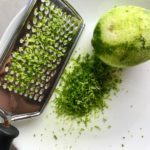 Store the remaining zested lime in a sealed container in the fridge. 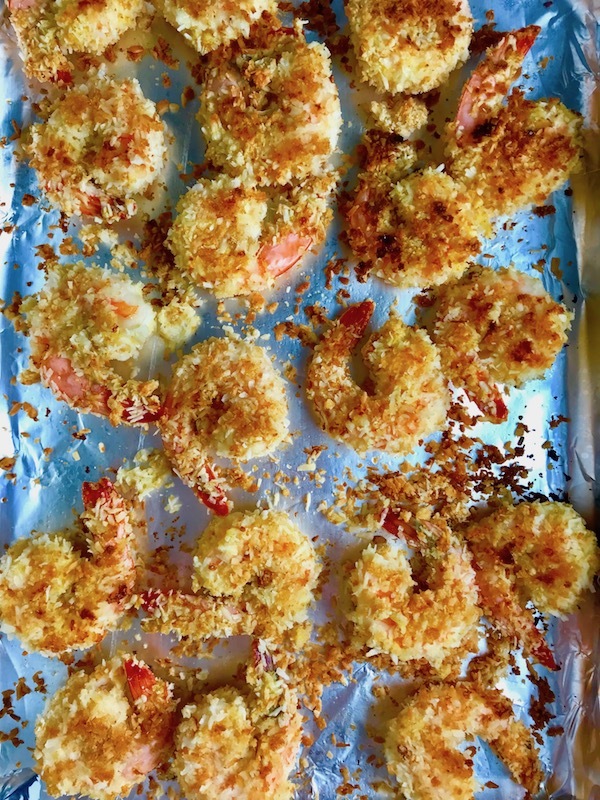 Mince the 3 cloves garlic and store 2 for the shrimp in the fridge in a storage container until ready to use. Add the third 1 minced clove to the yogurt. 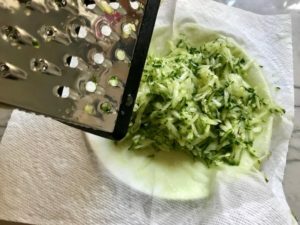 Using a grater on the medium grate size, grate the cucumber with the skin on. 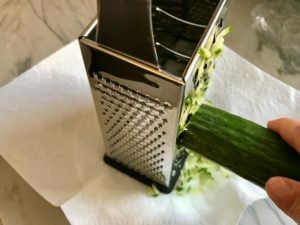 I like to grate right over a paper towel or clean towel so that you can squeeze the water out of the cucumber and can strain it out. 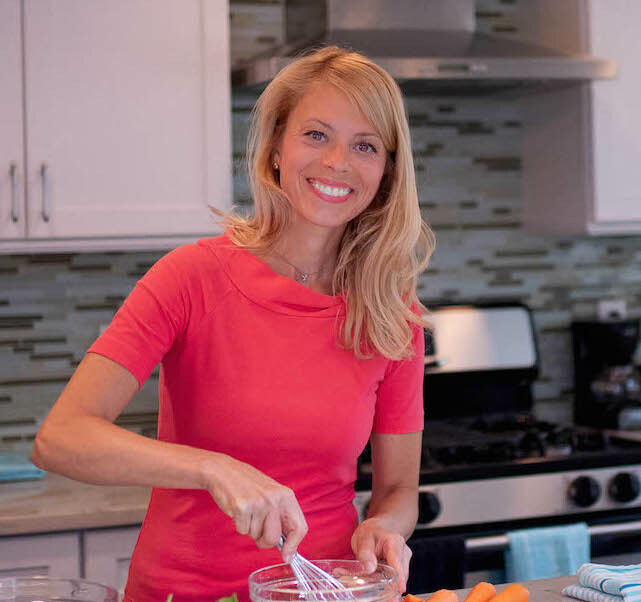 Preheat a large skillet. 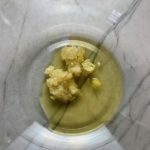 To a large mixing bowl, add the 2 cloves of minced garlic, olive oil, salt, and pepper. 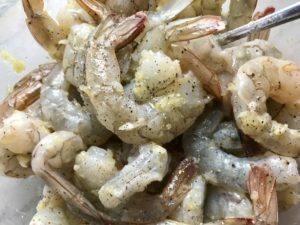 Take the shrimp out and make sure they are all cleaned. Add the shrimp to the Garlic mixture, the lightly mix to coat the shrimp completely. 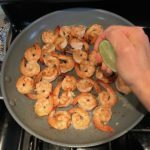 Right before you are ready to sear the shrimp, squeeze half of the lime over the shrimp and mix it around. Then flip the shrimp over and cook the other side for another 3 minutes. 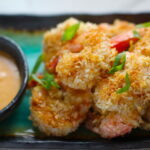 To finish, squeeze the remaining half of lime over the shrimp, give them a stir, then turn off the heat.